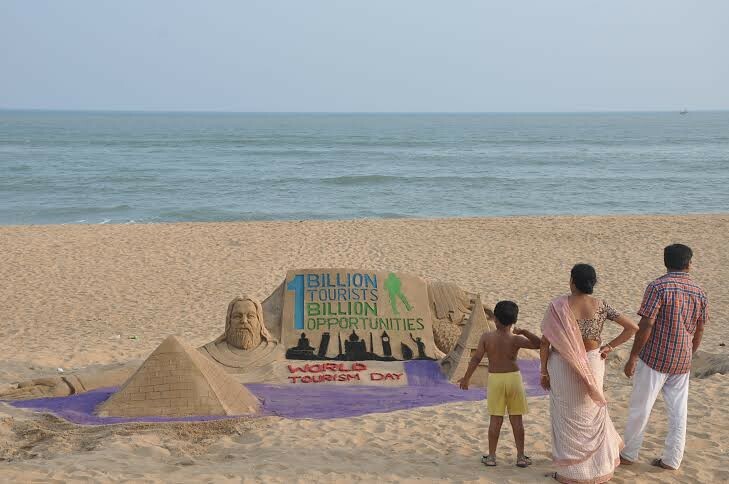 International Sand Artist Ranjan kumar Ganguly Create a sand sculpture of Laughing Buddha Feng Shui Symbol for Good Luck and Prosperity massage public Orissa through Sand Sculpture at Konark Chandrabhaga sea beach in Sand Festival organized by Tourism Department Govt of Orissa. 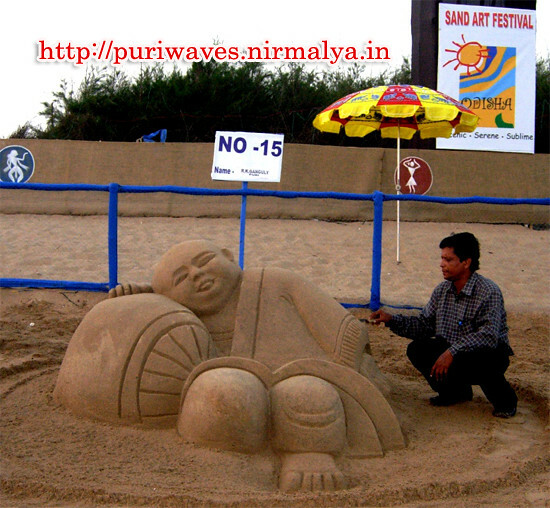 of tourists are enjoying the sand art. 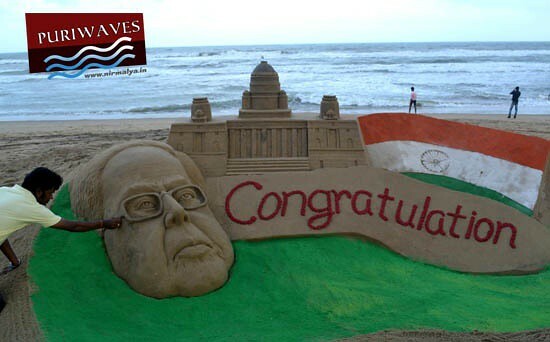 Mr.Ashok kumar Tripathy, IAS, Principal Secretary Tourism, Government of Odisha is taking lot of steps to attract the sand art festival, which was possible only because of him. Prasant kumar Pattnaik tourist officer Konark is taking lot of interest and pain to make the sand art festival more attractive.